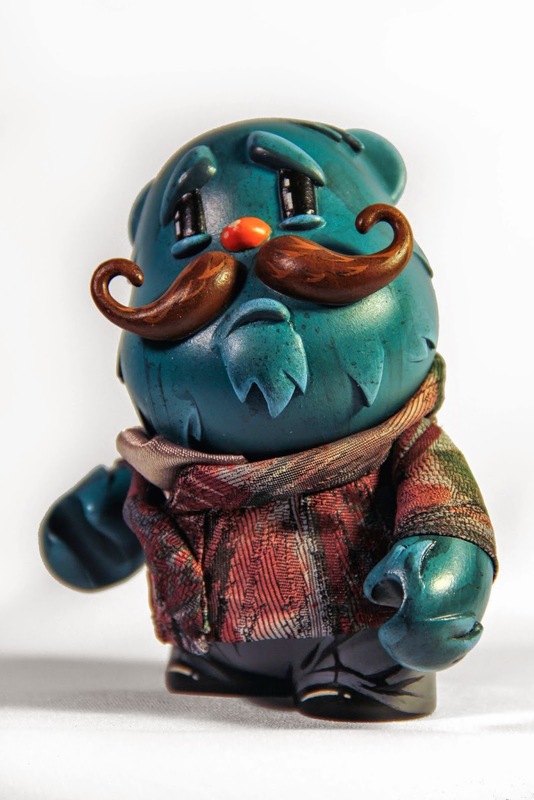 Participating artists include 2bitHACK, 8-bit ZOMBIE, Ben Spencer (Galaxxor), BigMan Toys, Bombermat Toys, Credenda Studios, Danny Frankenstein, Dave Bondi, Death Cat Toys, DLL Customs, DMS, Eric Nilla, Falcon Toys, Fantastic Planet Toys, TheGodBeast, Goodleg Toys, Healeymade, Joshua Ben Longo, Kaboom Toys, Killer Bootlegs, LittleRubberGuys/Plastic !magination, ManOrMonster?, MonstreHero, MuscleThings Laboratories, Nama Niku, Schmucklord, Scott Wilkowski, Scraped Resin, Star Case, Suckadelic, The Tarantulas, Ted Terranova (Rivet Wars), Tone Tank, Triclops Studio, and TrueCast Studio. 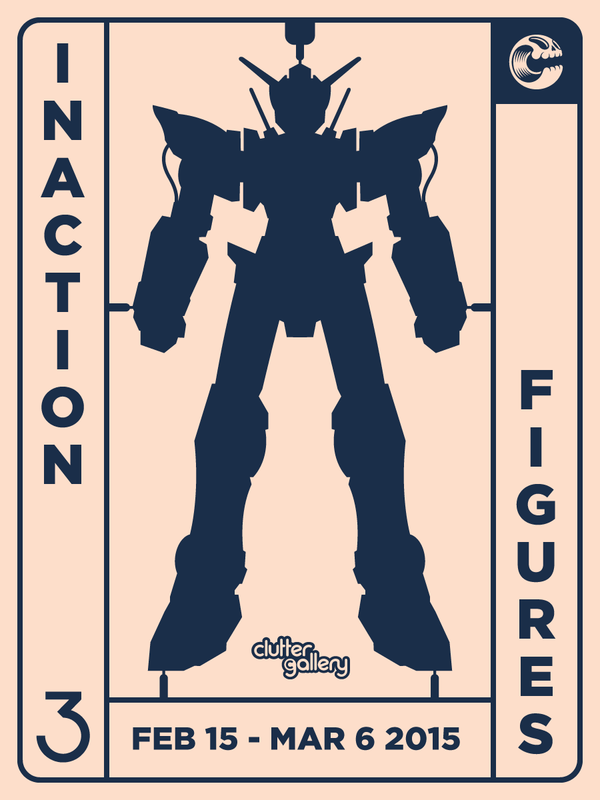 Artists will be using the hashtag #InActionFigures3 as they post images of their works-in-progress leading up the show. There will be an opening reception on February 14th, from 6-9PM, at The Clutter Gallery (163 Main St., Beacon, NY) and the exhibit will be on display until March 6th, 2015. The Clutter Gallery will have all pieces available for sale in their physical location and on their website. The Clutter Gallery sends out a newsletter to all users who are registered to the Gallery Preview List, which allows the recipients to view and purchase works before the exhibition opening. international orders require additional $20 for shipping. 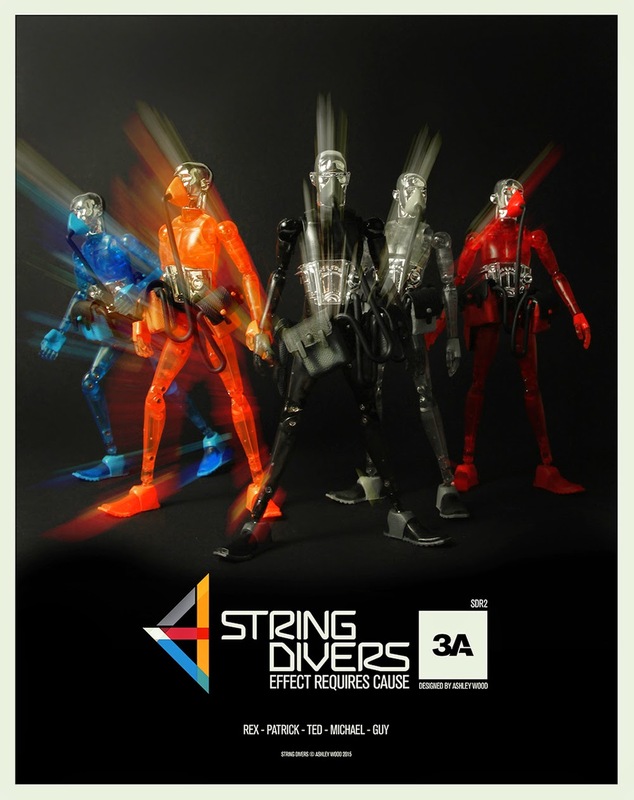 3A String Divers 6in figures coming to retailers. Like us. 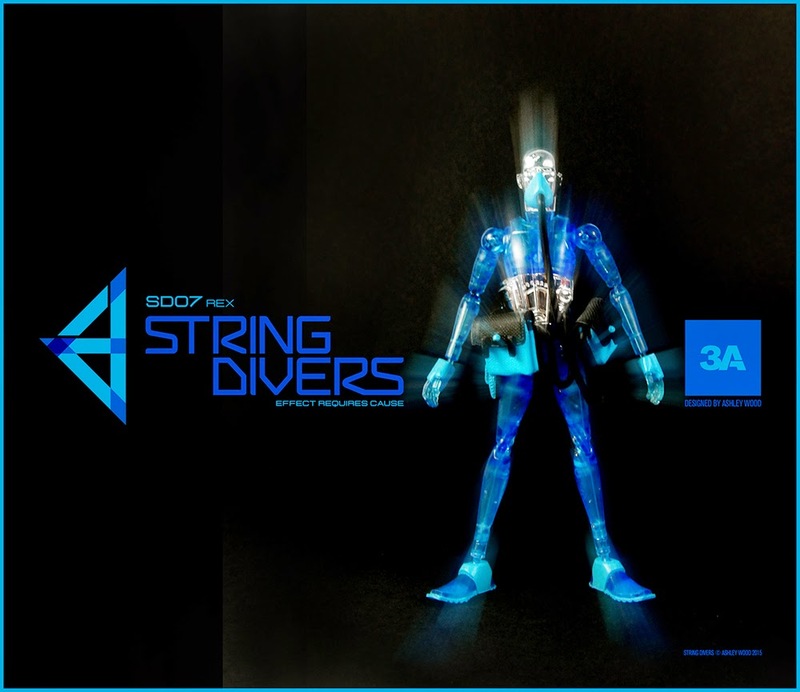 These are hella cool, I saw them at Toy Fair last year. Hit me up if you're interested. Not sure on arrival date but I'll continue to post about them as I get more info. BEWARE THE POCALYPSE! 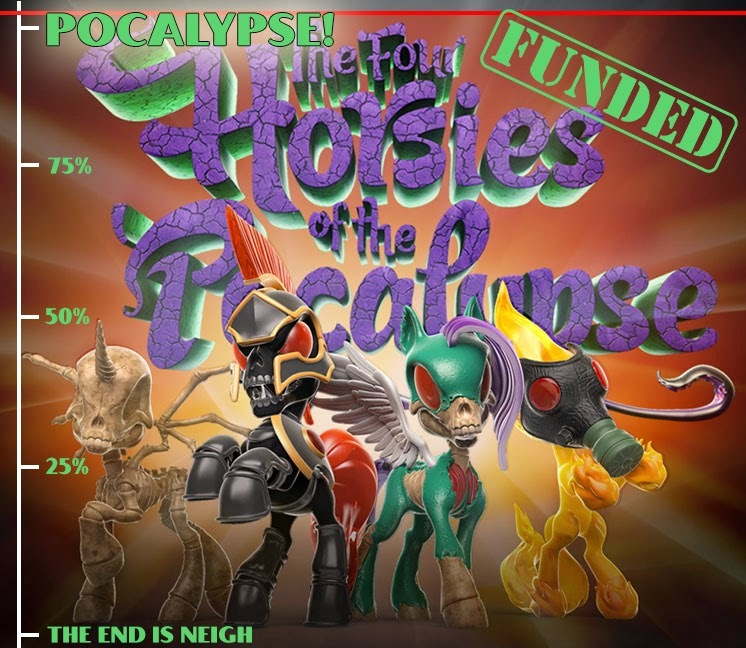 The Four Horsies of the Pocalypse Kickstarter campaign is now FUNDED with 19 days to go! And you know what that means... STRETCH GOALS FOR WRETCHED SOULS! 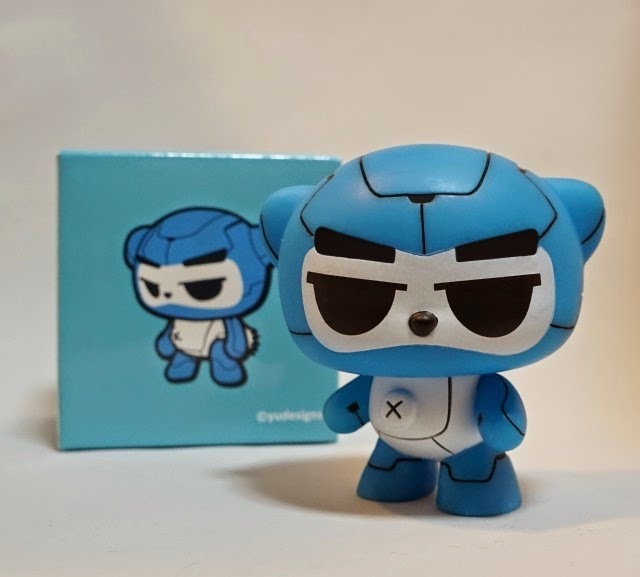 Klim and I have been discussing them every day and I think we've nailed it down: there will be a first goal of some freebies, which will be given to backers at a certain level or higher. 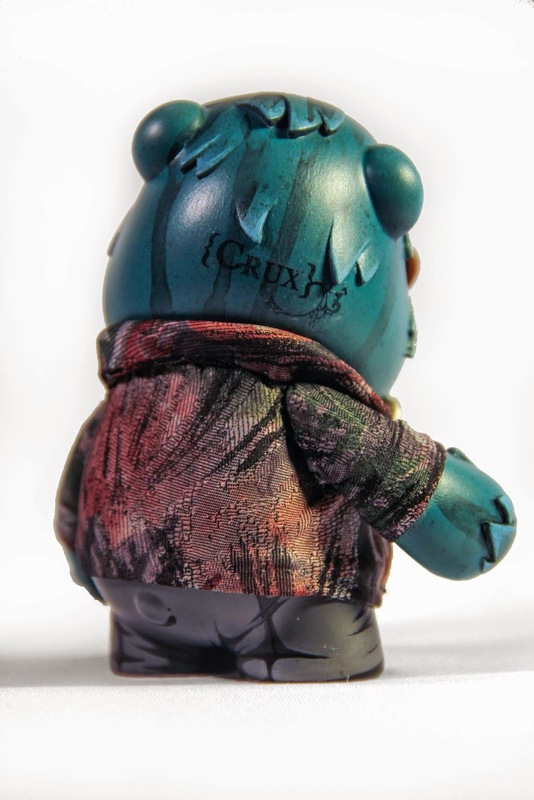 THEN, the real fun begins as we begin unlocking Kickstarter exclusive variant figures! Stay tuned here for more specific details on those goals, or watch your KS updates. Because you ARE a backer, right? Even if you just back at $5 for a sticker or $10 for a button pack, GET IN ON THE POCALYPTIC FUN! You won't be sorry, especially as the Four Horsies ride in to the front lines of the cutest Pocalypse EVER! David "DeeTen" Ten's work never ceases to amaze me. This commissioned custom piece he completed late last year is no exception. 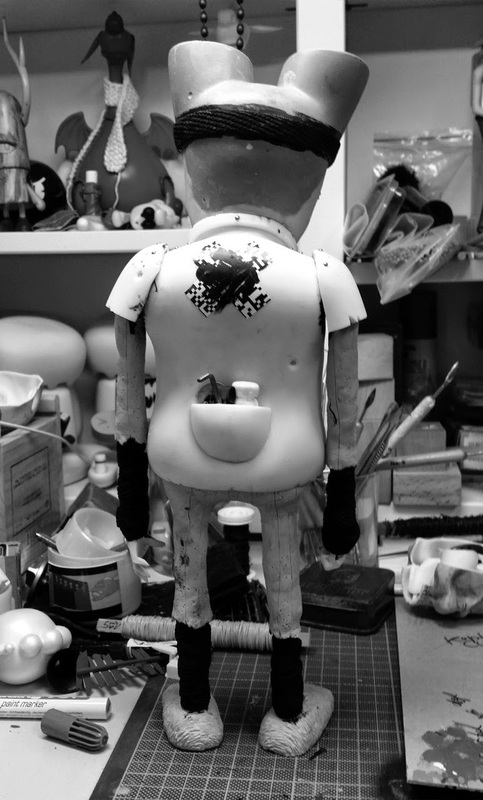 Based on a Skelanimals MAXX figure, the custom is covered in intricate details. 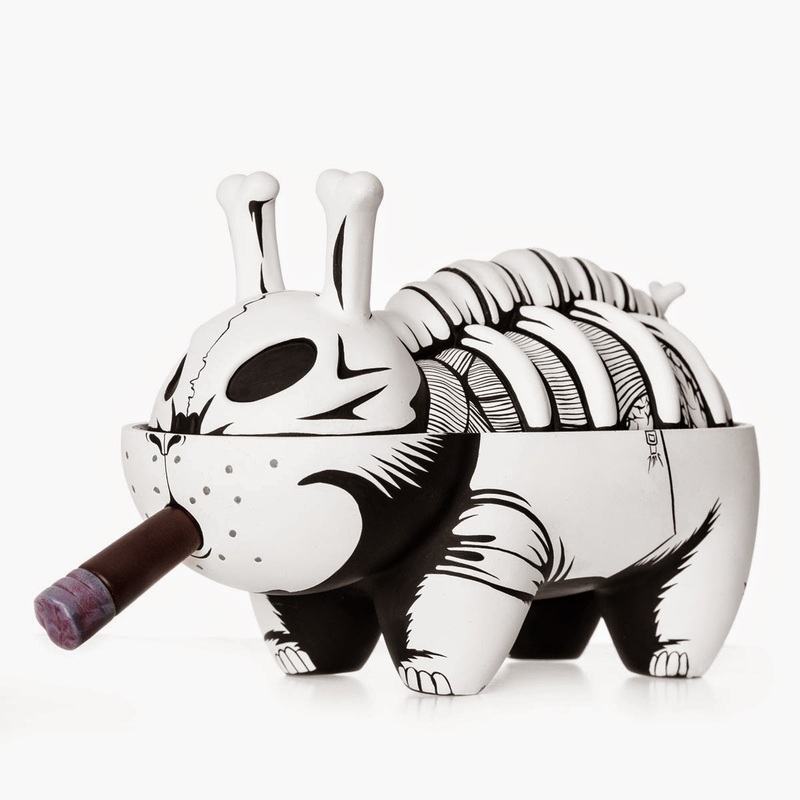 Looking closer you'll find that many of the items used to create this clockwork-esque creature can be found at your local hardware store but combine with wood, acrylic, vinyl and Sculpey to create a steampunk curio. 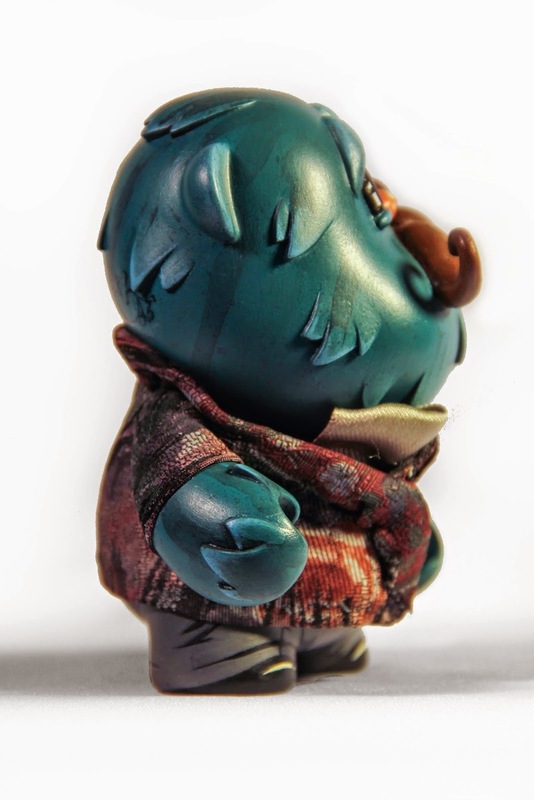 David Stegmann, aka dust, sent over a WIP teaser of his latest custom Designer Toy called "Teddy Knight Egon". It's always nice to see the WIP workbench of artists. 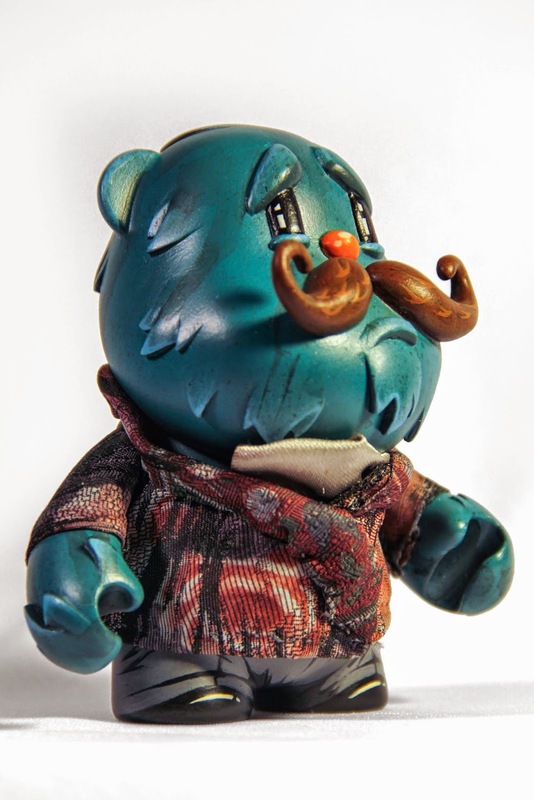 From the pictures, dust re-purposed a Teddy Troop figure to create his latest figure. 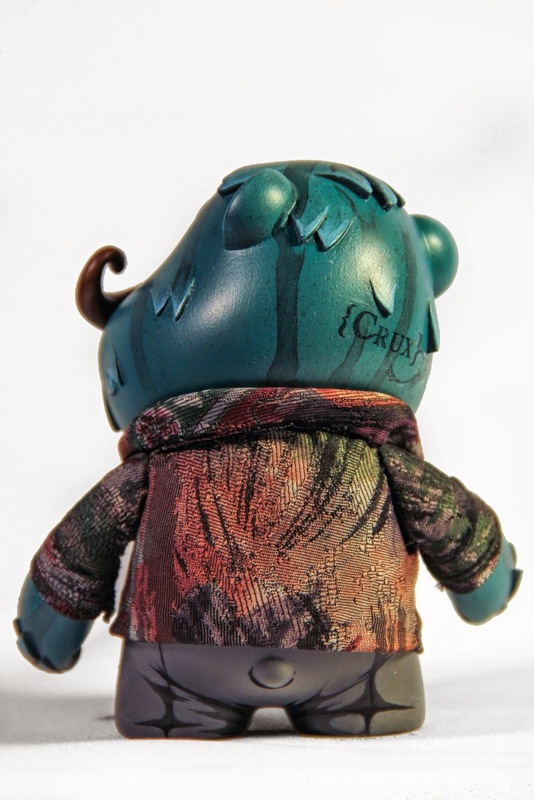 No word on when dust plans on completing the custom, but it should turn into an amazing completed piece. 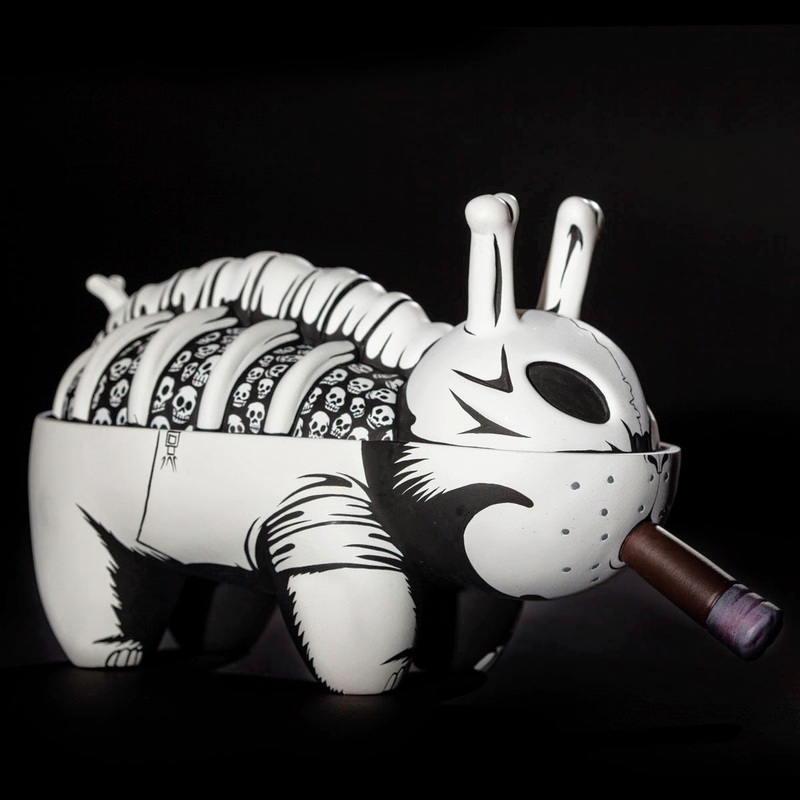 Japanese designer Derek Yu recently received shipment of his first Designer Vinyl Toy, Little Ninja Panda. Standing at 4" tall, this Little Panda specializes in the art of Ninja and camouflage. 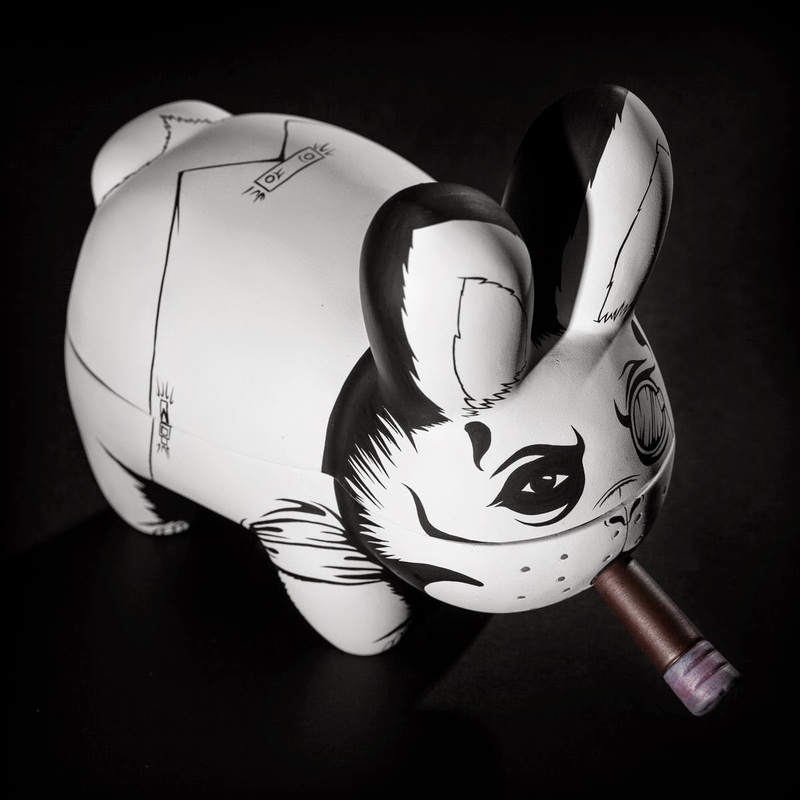 This first creation is the little Panda in the Mecha Camouflage. 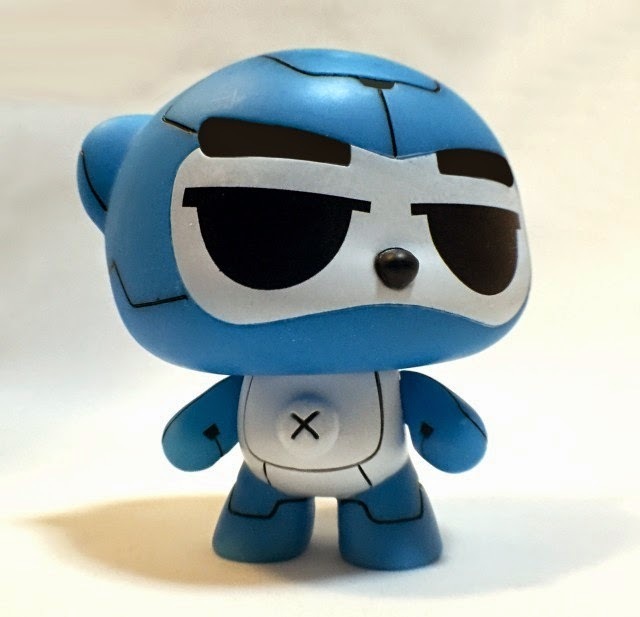 As this is the first produced toy from Derek Yu, if this little Panda sells well, there will likely be more versions to follow. Priced at $30 plus shipping, these are available here now, shipping from Japan. 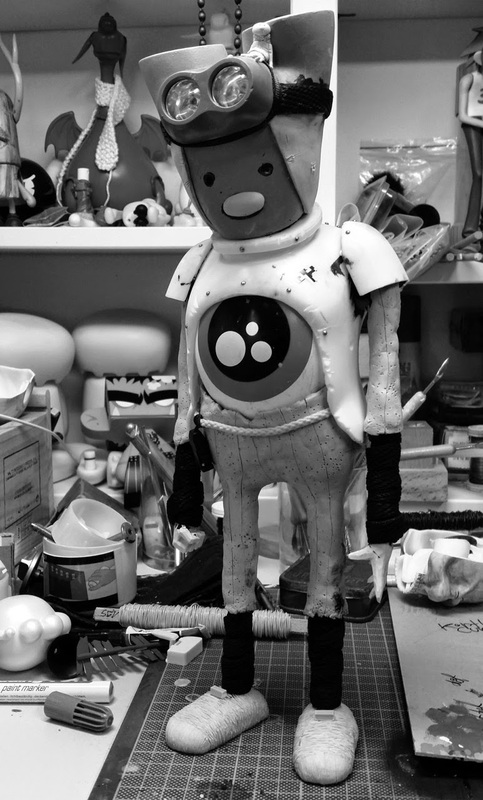 Be sure to check out the Yudesigns' website for a little insight into Derek's process. 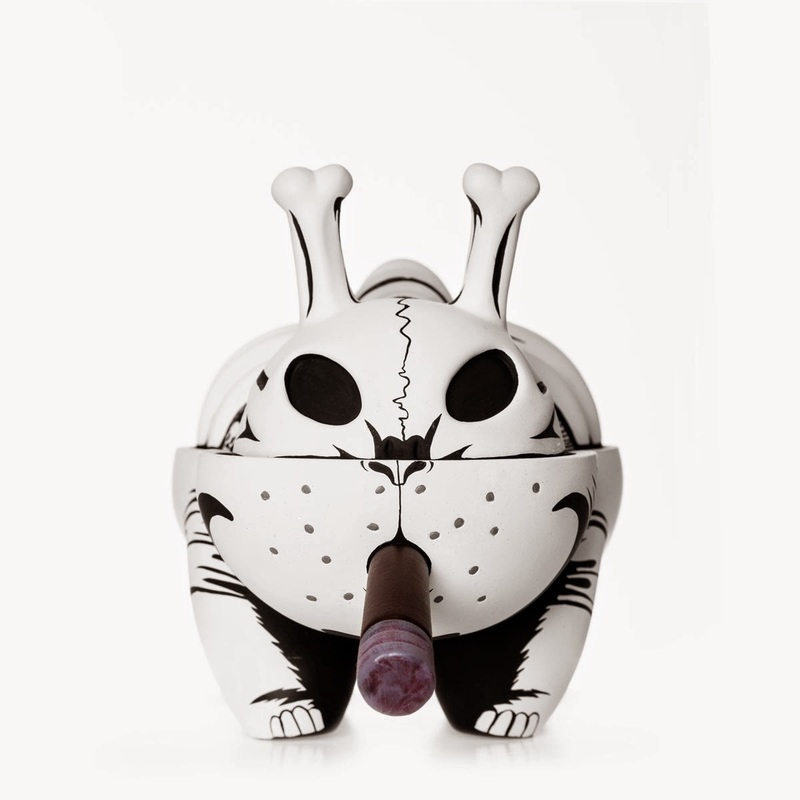 Crux Delgado, of Circustank, recently completed a larger version of Fancycrasher, called Lord Winston Fancycrasher. Using a 4" Bub figure, Crux sculpted details using Super Sculpey. Finished off with acrylic paint, Crux also enlisted his wife Claraphi, to sew some nice threads. No word on availability, but those interested should contact Crux. 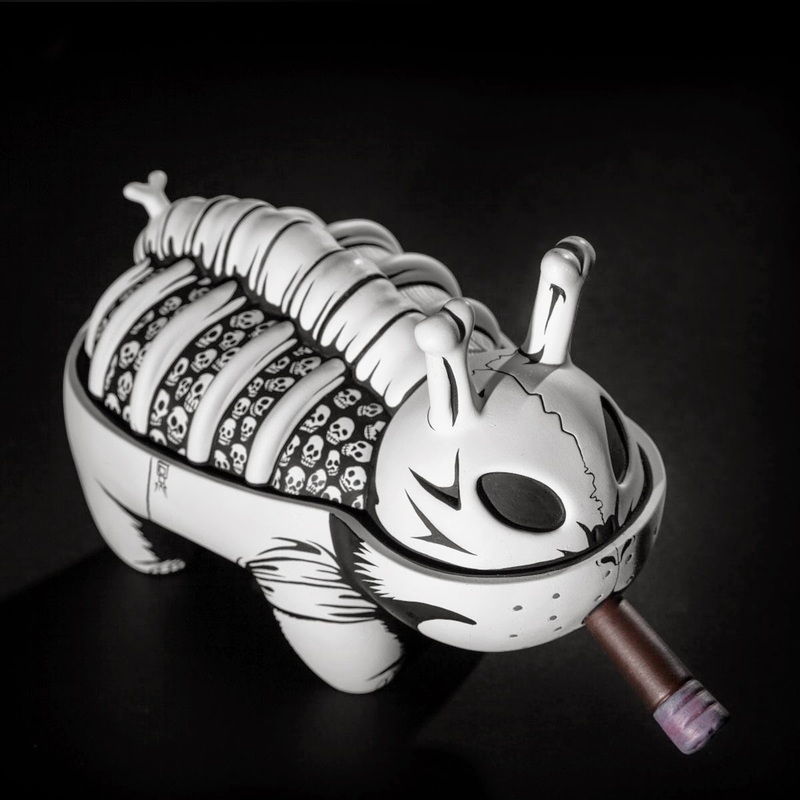 Jon-Paul Kaiser has been completing custom pieces non-stop, so much so, that Jon-Paul forgot about this beauty here. 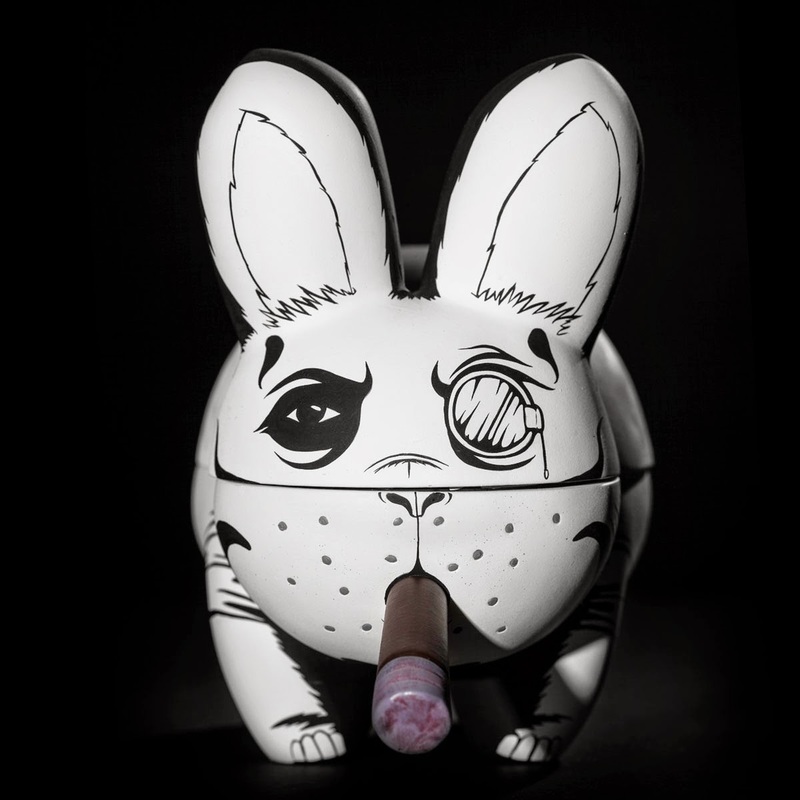 Based on an older Dissected Labbit, or Bone Bunny, Jon-Paul customized the entire piece. 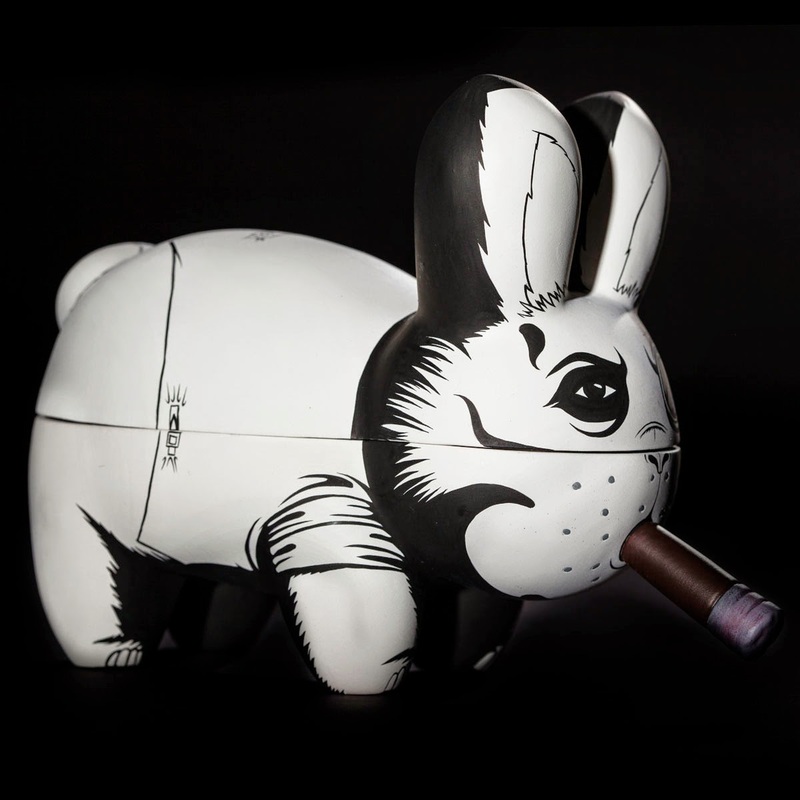 Painted last year, the outside is a besuited gentleman Labbit, complete with monocle and lit cigar. 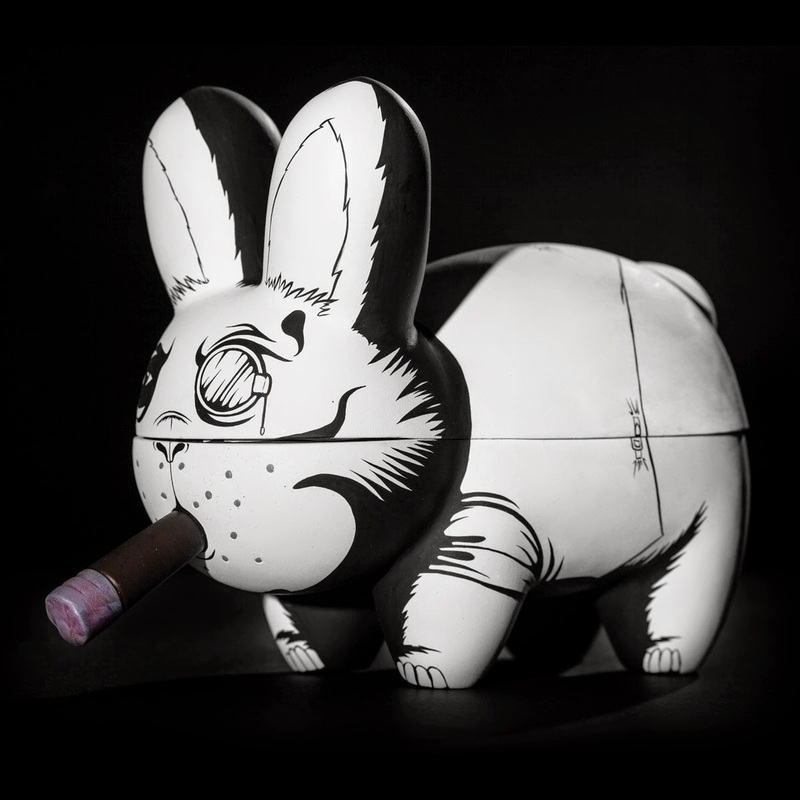 On the inside, lost souls weave within the skeleton of this dapper Labbit. 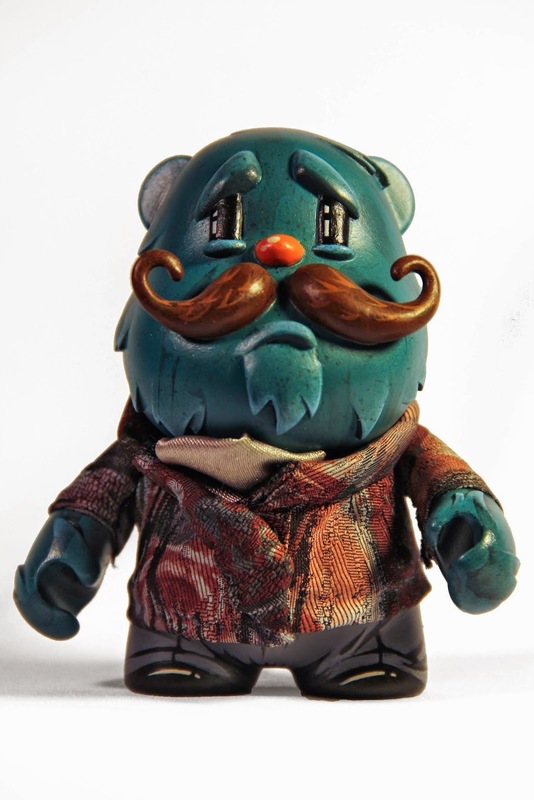 Of course, expect to see more amazing customs from Jon-Paul this year. Photography is by Justin Allfree, Jon-Paul's favorite photographer.